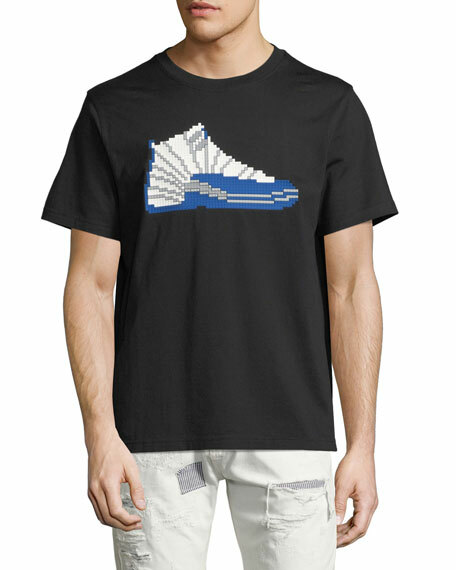 Mostly Heard Rarely Seen jersey T-shirt with three-dimensional 8-bit high-top sneaker. Born in Hong Kong and raised in Japan, Thomas "Tomakira" Li draws inspiration from Eastern street style for his label Mostly Heard Rarely Seen. In keeping with the brand's motto, Tomakira shies away from the spotlight, preferring to let his detailed designs stand on their own. 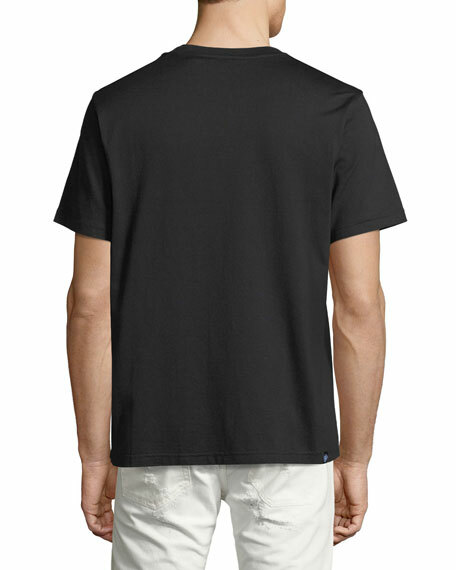 Among our favorites: graphic T-shirts featuring 8-bit 3D prints. For in-store inquiries, use sku #2290506.